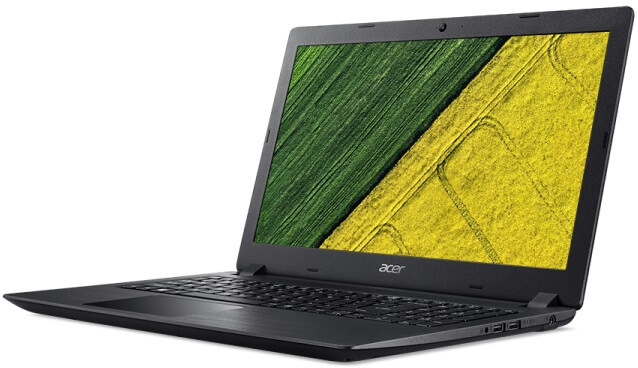 Acer recently announced the all-new Aspire notebook series, which brings powerful processing power and graphics for smoother and seamless performance, giving users better and lasting experience. The latest lineup includes the Aspire 1, Aspire 3, Aspire 5, and Aspire 7. Essentials for the Cloud era, the Aspire 1 includes a one-year subscription of Office 365 Personal and 1TB of OneDrive storage. It also makes connecting effortless with its 802.11ac wireless technology, USB 3.0 port, two USB 2.0 ports, HDMI port, and Ethernet. Powered by Intel Celeron or Pentium processors, the 14-inch device sports 32 or 64GB eMMC storage, 4GB DDR3L memory, and Intel HD Graphics. It is also supported by up to nine hours of battery life. For everyday computing, the Aspire 3 might be your match. Following the same design and creative inspirations of the Aspire 1, more were added to the Aspire 3 to give it a power and performance boost for more intensive media consumption needs. It comes with a 14-inch HD, 15.6-inch or 15.6-inch Full HD display. Processor options for the device include Intel Core, Celeron, and Pentium. With up to 12GB of memory, it also features Acer’s BlueLightShield technology that reduces the exposure of blue light to reduce eye strain. Meanwhile, the Aspire 5 matches users with more demanding requirements. It is powered by up to 7th Gen Intel Core processors ad latest NVIDIA GeForce graphics. It also has a maximum of 20GB DDR4 2400MHz memory. Storage wise, there is a range of options to choose from with HDDs up to 2TB, and M.2 SSDs up to 256GB. For additional peripherals, the Aspire 5 has USB 3.1 Type-C Gen 1 port, USB 3.0 port that supports power-off charging, and another two USB 2.0 ports. At the top of the Aspire line sits the Aspire 7 that offers powerhouse performance for creators. It is powered by 7th Gen Intel Core standard-voltage processor and up to NVIDIA GeForce GTX 1060 graphics. It comes with up to 32GB of DDR4 2400MHz memory, and ample storage up to 2TB and M.2 SSD up to 512GB. It is also equipped with HD camera while Dolby Audio Premium provides a great entertainment experience. It comes with either 15-inch or 17-inch display. The Aspire 1, Aspire 3, Aspire 5 and Aspire 7 will be available this coming June with starting price of USD 219, USD 299, USD 449 and USD 799, respectively.